Let us amaze and inspire you! We love what we do here at CPM Ltd, whether that be us working from a blank canvas or restoring decors to their former glory. We take pride in our hard work and our results reflect all our effort. Why not view our gallery for yourselves. We would love to get your feedback! CONNECT WITH THE CPM TEAM ON THE WEB! We have recently launched our new Facebook & Twitter pages, designed to provide our customers with the latest news from the CPM Team. Connect with us on Facebook, Twitter and LinkedIn today. The first project CPM have worked on for GallifordTry is underway in the prestigious conversation area of St James within the city of Westminster. The project for wine merchants Berry Bros. & Rudd is on a very tight and sensitive urban site, surrounded on three sides by four Grade II* listed buildings. Bam Construction beat Carillion, Kier, Morgan Sindall and Mace to take the job, which once built will become a new regional headquarters and signalling centre housing up to 2,000 staff. CPM secured the decoration on the project creating a new partnership with BAM construction. CPM have been called to assist Rydon construction with the decoration of JRSLA’s down at Kiwi Barracks, Bulford Camp in Salisbury. EWA have developed a design for a new facility for Fareham College called CEMAST - Centre for Engineering and Manufacturing Advanced Skills Training. CPM will be handling the decoration stage. CPM have secured the decoration on what will be a very demanding fast-track refurbishment project with Brymor Construction for client Associated British Ports (ABP). This project will transform the existing building into the New Mayflower Terminal valuing £4.5m. Mansell Construction Services have begun construction on a new £1.35 million autism teaching unit at Reading College to give students with the condition the benefits of mainstream further education. This is the first project CPM have carried out for Wates Construction in several years. Building 1030 a major speculative development set in an 85-acre business park just off junction 10 of the M4. CPM were the preferred bidder and successful subcontractor to secure the decoration package on the exclusive landmark project Admirals Quay at Ocean Village. 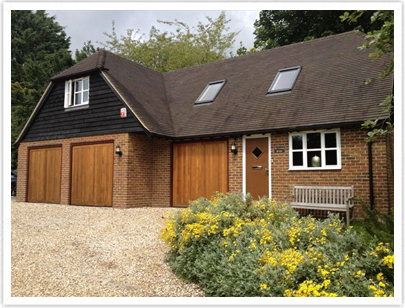 Established in 1992, we are a family run business, operating in the South East and London Regions, specialising in all aspects of painting, decorating and building maintenance. CPM initially began as a contractor focused on planned and reactive maintenance and refurbishment for the M.O.D, working on various sites across Hampshire, but with growth, success, and time, we found ourselves branching into mainstream construction, becoming recognised as a credible and professional Painting and Decorating Maintenance Company. Today we are a Contract Partner with Dulux, being a preferred choice with Housing Associations, and a frequently selected Subcontractor to many of the Primary Contractors in Framework Agreements. Our successes are testament to a professional team who strive to meet with client expectations. This can only be achieved by highly skilled, friendly, and reliable people, who consistently deliver the high standards needed to retain our customers and maintain our reputation. A project highly commended at a planning committee, has been secured by CPM in regard to the decoration works. Waters Square is a residential scheme consisting of 1 and 2 bedroom apartments, arranged within an individual flat block, and 2 and 3 bedroom houses. CPM have secured the decoration on what will be a very demanding fast-track refurbishment project with Brymor Construction for client Associated British Ports (ABP). CPM have been successful in securing their first project with MIDAS Construction, an £18 million Continued Care Village with sheltered housing apartments, care home and individual housing units to promote independent living. © 2019 Crowthorne Property Maintenance Ltd. All Rights Reserved.